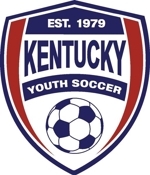 Popular KYSA soccer camp will be returning to Marshall County this summer. This summer camp remains the most popular camp in the state each year. This year, there will be a parents session to allow those new to the game or looking to get more involved the opportunity to learn more about the game. May 31-June 3, 2011 at Mike Miller Park.